Genuine grade essential oils are extremely concentrated particularly when they have been derived through distillation, which is the most effective method of extraction. Because essential oils are so highly concentrated, most of them are at least 50 times more potent than the herbs or plants they came from. When herbs are cut & dehydrated, they can lose as much as 90% of the healthy nutrients as well as the vast majority of the vital oxygen molecules. Not so with essential oils, which are many times more potent than dried herbs. There is a very big difference between the low quality essential oils and Authentic Genuine Grade essential oils. He has developed his own farms and his own distillation techniques to guarantee the top quality he seeks. He has become a true pioneer in developing these operations in the United States. I wish everyone could see firsthand the Young Living Farms. Therapeutic grade essential oils have been used for thousands of years by physicians of all types. They add oxygen and nutrients to the cells. Essential oils can greatly benefit any natural health practice. Young Living Essential Oils provide the highest quality essential oils available for natural health practitioners. Many of the essential oils are grown and distilled at several Young Living Farms around the world. 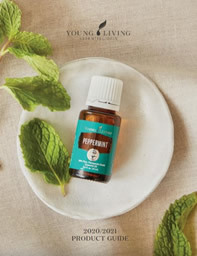 A relaxing blend that helps relax and calm muscles stressed from exercise. How to use:Apply on location for muscles, neck, and feet. Add to bath water and dilute with V-6 Mixing Oil or Massage Oil Base for body massage. Ingredients: Basil (Ocimum basilicum), marjoram (Origanum majorana), lavender (Lavandula angustifolia), peppermint (Mentha piperita), and cypress (Cupressus sempervirens). Wholesale Member Prices are 24% lower than retail price. Promotes physical and emotional well-being by bringing a harmonic balance to the energy centers of the body. It is also beneficial in reducing stress and creating an overall feeling of well-being. When essential oils are combined with massage, the benefits are numerous. The oils bring peace and tranquility as well as keen mental awareness. Massage opens and increases the flow of energy, balancing the entire nervous system and helping to release physical and emotional disharmony. The unrefined carrier vegetable oils are rich in fat-soluble nutrients and essential fatty acids, that are easily absorbed through the skin and used in the body. Cel-Lite Magic Massage Oil combines vegetable oils and vitamin E with essential oils that tone and nourish the skin. Grapefruit (Citrus paradisi) oil is beneficial in improving skin texture. How to use: Massage on location. Ingredients: Grape seed oil; olive oil; wheatgerm oil; sweet almond oil; vitamin E; the essential oils of cedarwood (Cedrus atlantica), cypress (Cupressus sempervirens), juniper (Juniperus osteosperma and J. scopulorum), grapefruit (Citrus paradisi), clary sage (Salvia sclarea), and black pepper (Piper nigrum). Dragon Time Massage Oil combines essential oils that have been researched in Europe for their balancing effects. In addition to massage, you can put 1/2 oz. in the bathtub for a soothing, refreshing bath. Ingredients: Grape seed oil, sweet almond oil, olive oil, wheatgerm oil, vitamin E, and the essential oils of clary sage (Salvia sclarea), fennel (Foeniculum vulgare), lavender(Lavandula angustifolia), jasmine (Jasminum officinale), sage (Salvia officinalis), ylang ylang (Cananga odorata), and yarrow (Achillea millefolium). Ortho Ease Massage Oil was created after extensive testing and has been used in European hospitals. Ingredients: Oils of wheatgerm, grape seed, sweet almond, olive, vitamin E, and the essential oils of wintergreen (Gaultheria procumbens), juniper (Juniperus osteosperma and J. scopulorum), marjoram (Origanum majorana), red thyme (Thymus serpyllum), vetiver (Vetiveria zizanioides), peppermint (Mentha piperita), Eucalyptus australiana, and lemongrass (Cymbopogon flexuosus). Ortho Sport Massage Oil is designed for both professional and amateur athletes. It is a stronger version of Ortho Ease with higher phenol content, which may produce a greater warming sensation. Ingredients: Oils of wheatgerm, grape seed, olive, sweet almond, and the essential oils of wintergreen (Gaultheria procumbens), oregano (Origanum compactum), red thyme (Thymus serpyllum), peppermint (Mentha piperita), Eucalyptus globulus, lemongrass (Cymbopogon flexuosus), vetiver (Vetiveria zizanioides), and elemi (Canarium luzonicum). Relaxation Massage Oil promotes relaxation and eases tension. Ingredients: Oils of grape seed, sweet almond, wheatgerm, olive, vitamin E, and the essential oils of tangerine (Citrus nobilis), rosewood (Aniba rosaeodora), spearmint (Mentha spicata), peppermint (Mentha piperita), ylang ylang(Cananga odorata), and lavender(Lavandula angustifolia). (Aniba rosaeodora), ylang ylang (Cananga odorata), and jasmine (Jasminum officinale). V-6 Advanced Vegetable Oil Complex can be used to mix with essential oils to create blends, formulas and massage oils. This oil complex nourishes the skin, has a long shelf life, doesn’t clog pores, and will not stain clothes. How to use: Suggested blending is 15-30 drops of an essential oil to 1 oz. V-6 Mixing Oil. Ingredients: Fractionated coconut oil, sesame seed oil**, grapeseed oil, almond oil**, wheat germ oil, sunflower seed oil**, and extra virgin olive oil**. **Organically grown in accordance with the California Organic Foods Act of 1990. Raindrop Technique combines the art of aromatherapy with the techniques of Vita Flex and massage in the application of essential oils to various areas of the body. This collection provides a revolutionary means of bringing balance and harmony to the body – physically, mentally, and emotionally. How to use: Apply on location. Alternate with PanAway or helichrysum. Ingredients: Spruce (Picea mariana), black pepper (Piper nigrum), hyssop (Hyssopus officinalis), and peppermint (Mentha piperita). Aroma Siez is a relaxing blend that is excellent for massaging away life’s little discomforts. Well suited for use after exercise or at the end of a trying day, it also provides soothing comfort for the head, neck, and tired feet. How to use : For aromatic use. Apply on location for muscles, neck and feet. Add to bath water and dilute with Dilute with V-6™ Enhanced Vegetable Oil Complex for body massage. Lavender (Lavandula angustifolia) has a fresh, sweet, floral, herbaceous aroma that is soothing and refreshing. Because it is the most versatile of all essential oils, no home should be without it. Lavender is an adaptogen, and therefore can assist the body when adapting to stress or imbalances. It is a great aid for relaxing and winding down before bedtime, yet has balancing properties that can also boost stamina and energy. lavender is highly regarded for skin and beauty. How to use: For dietary, aromatic or topical use. Lavender is wonderful in a massage. When using as a supplement, put one drop in a capsule or in 4 fl. oz. of rice or goat’s milk. If you’re not including essential oils in your Massage Practice, you are missing one of Nature’s most powerful, means to enhance your therapy and the sheer enjoyment of being alive.